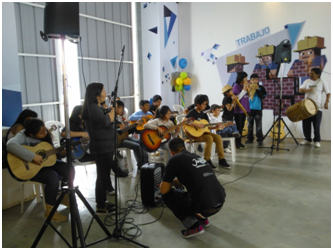 The Adolescence Program proposes the development of recreational and cultural activities aimed at young people between 14 and 21 years of age in situations of social vulnerability. 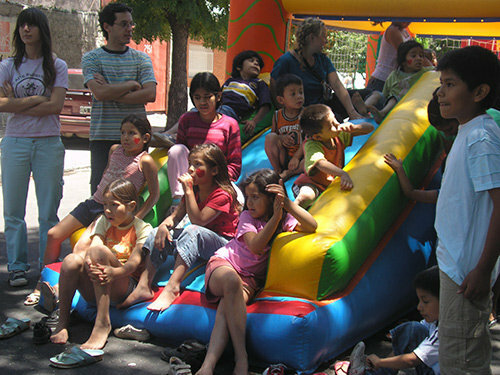 From the Conviven Center we have been carrying out this Program since 2009. These activities work from April to November and are in charge of a teacher and a Social Operator, who work as a pedagogical partner. 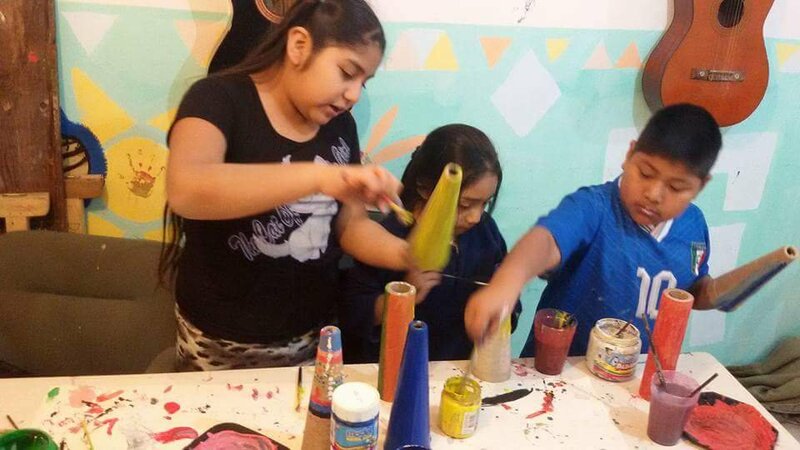 Each workshop is designed as a space where young people can appropriate new contents according to their interests and motivations, and in turn, as a means of social inclusion, where they can think their life project, socialize with other young people and adults and mainly exercise Their cultural rights. -Music show in Technopolis, Dance Show in the Art Factory, Audiovisual Show at the Metropolitan Design Center (CMD). Between November 2015 and June 2016 happened the first edition of the project “MIRADAS NOMADES”, led and coordinated by Conviven. The project achieved it’s main objective, which was taking on a trip a group of photographers who were in prison, taking them to different landscapes of which they are familiar whith. The groups were chosen by their consolidated photographic work and the sites, which by their characteristics favored the experience of interacting and creating new works and capabilities with the help of the encounter with nature and its inhabitants. The result not only broke the previous expectations of the organizers but brought during the event and subsequent evaluation, new perspectives on these experiences in which art, respect and inclusion are engines facilitators of educational processes, evolutionary and repairers both individually and collectively. 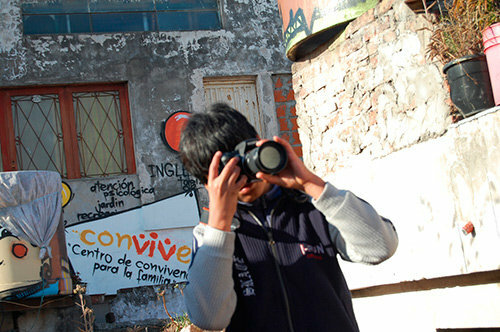 It is our goal to consolidate these groups’ work, implementing other similar experiences, and also allow other members of the same photographic groups to participate in new similar projects, since not all were able to participate in the first edition, due to their complex personal situations having a vulnerable situations in both work, family and housing . 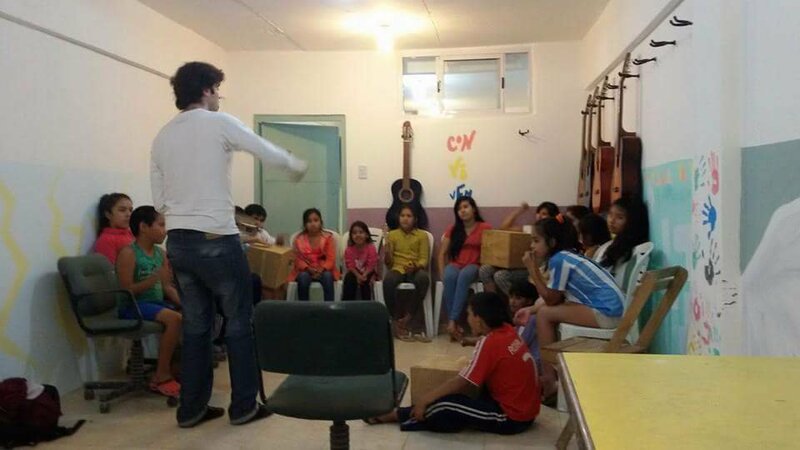 It was a beautiful experience we had in Punta Indio with the project of Miradas Nomadas. Being able to take pictures with the girls of Light Skin again, to remember every step: the assembly of the camera, charge it, choose the right focus and take the exposure time was to regain a space that was lost when I left the prison. The tumult of life outside took me the time to take pictures with the pinhole camera. Interestingly in prison, the place where everyone wants to escape or everyone hopes never get in, is the place were you can create things that help with the pain and helplessness. Light Skin, like writing, was the tool I found for all of it mutates into art. It was very nice being able to plan every detail again. In a world were we are getting used to the filters of Instagram, having to carry the intuition of a photographer’s eye felt beautiful again. Everything about this trip was developed in very different places where we drew our pictures (the patio of 5 x 4 of Section Education, SUM, prison’s pavilions) places that we managed to reinvent thanks to the magic of the workshop. It was interesting to take our approach to a place of great beauty, where we could get closer to the beach or take pictures at sunset in the open land. It was an experience which we hope will happen again. 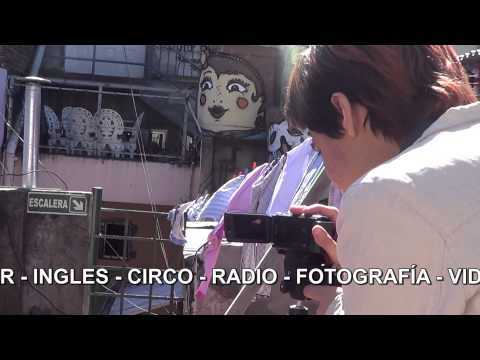 The weekend of February 13th 2106, a group of young Oje de Pez ( a photography workshop that Conviven founded and has operated for more then 7 years), students were selected to participate in a "Nomad Glances" photograrphy project. The project has as its central axis "journey". The central idea is the concept of exchange of glances from the trip. The trip as a meeting with oneself and the surroundings. The trip as a bridge to the new. The journey as a space for reflection and creation. And photography as the medium of expression and containment prepares, accompanies and records the journey, growth and trip. Our journey took us to the interior of Argentina to the province of Entre Rios and the towns of La Clarita and Colonia Hocker. Both villages do not exceed 500 people, who are somewhat isolated due to poor road infrastructure and low socio economic means. 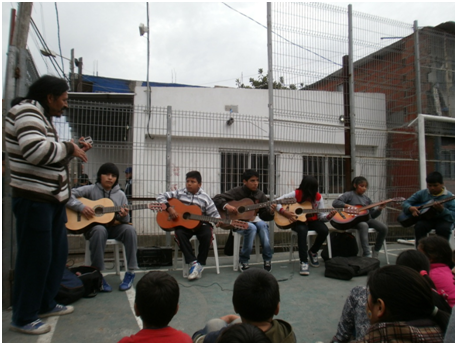 They do not have access to cultural and educational opportunities that are available in the surrounding cities. Despite this condition, they are peoples who have a strong attachment to their roots and value and care for their land and their environment. The students who participated in this journey were between 15 and 20 years. 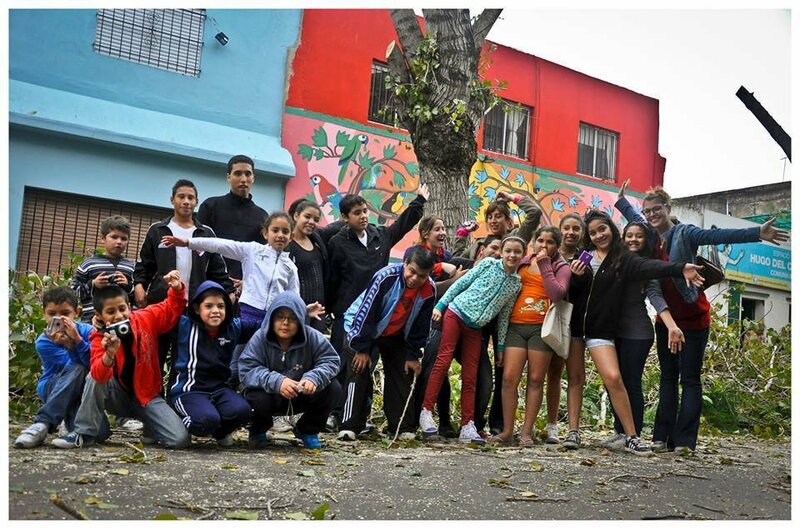 All students who live in Villa Lugano who attend our Ojo de Pez photography workshop at Centro Conviven. We coordinate this trip with the school of La Clarita to provide an exchange between our students and the students of the village. As soon as we arrived, we were greeted by the teachers and students the school. We ate together and shared stories from our lives not so different despite the big city versus villge background. Later, a tour was organized by the local students and teachers of the community and saw and met many interesting people and surroundings. In addition, La Clarita recently inagurated a museum in the old railway station. This was an opportunity for our students to experience the past and present tradidtions of the village. It was a journey into the past. At night the village celebrated carnival - embracing their past and new traditions. This was the first time our students saw how villages celebrated a carnival and how they embraced nature and the blessings that it brings. They're was music, dancing and folkare - all themes that are embraced in the city carnival celebrations but so very differently. The journey continued to small but tourist town of Colonia Hocker - we visited with local artisans and farmers who operated their own businesses and catered to the steady tourism of the community. We visited their farms and workshops and experienced sights, sounds and visions that are not common in the hectic city. 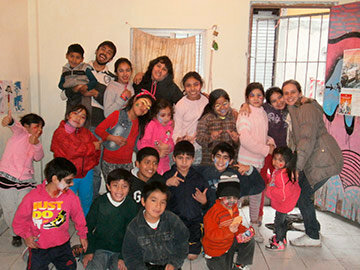 The Ojo de Pez students were overwhelmed by the calm and natural beauty of the villages. They were overwhlemed at the kindness of the locals, at the safety and trust the community had. Our students come from and live in overcrowded areas. In very dangerous villages that are constructed in open land of the city. They are faced with constant threats and fears and experienced the feeling of being able to walk along the streets with out a care in the world. They let their guard down and began to smile, embrace the simple life and open their minds to new places and people. The cameras never stopped clicking. They were inspired. It was a new world, new faces, experiences, sky, which despite being the same sky we see every day in Buenos Aires, was filled with stars and new dreams and new hopes. We encouraged the kids to keep a travel diary. For most it was the first time they left the city. And they had so much to say. For each story or dream they shared in the diary they had a photo to match it. The students are so thankful that they had the opportunity to travel to new places and experience new people and feelings. We are still talking about the trip till this day and the beautiful thing that came out of it is the planning and sharing of their experiences with the other students of Conviven - selflessly telling them that the next photography trip will be there opportunity to travel and evolve. The students matured and open their hearts during the journey. They returned to the hard and busy city more kind and open to sharing their stories - both written and photographs. We displayed our photo essays in an exhibition for our community and all were impacted by our experience. They too were able to travel. 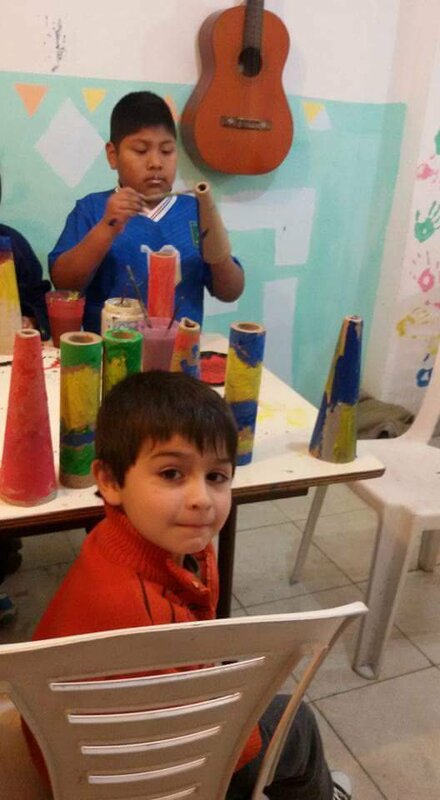 Eductional Workshops in Villa 31: That have a 3 month program time. 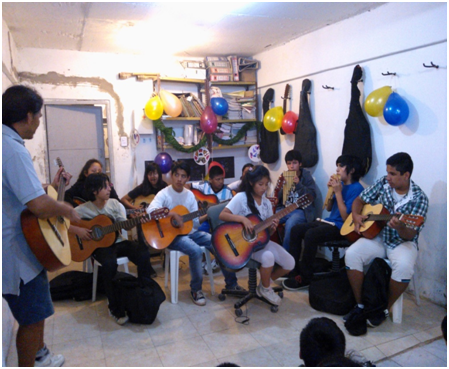 Rythym and Music - Latin American folklare music class for children ages 9 - 14 years old. The donation provided for payment of salaries for new art related teachers, a social worker and logistics (75%). Materials and Instruments (15%) trips to concert halls (5%) Food and snacks for kids/students (5%).